Reduce your carbon footprint and have plenty of fun doing it in the robust all Toyota RAV4 Hybrid. Boasting the same great features as the gas-powered RAV4 but with an emissions friendly powertrain, you'll be able to find adventure wherever you take your family in Richmond, Georgetown, or Frankfort, KY -- and save tons of fuel! 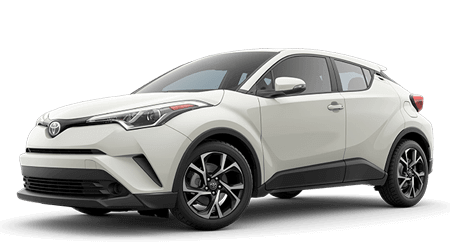 Head over to Toyota on Nicholasville in Nicholasville, KY, and see why our motto is "Where Price Sells Car," when we present our great deal on your ne 2016 RAV4 Hybrid this afternoon! Knowing what's under the hood of your ne 2016 Toyota RAV4 Hybrid isn't a necessity, but it never hurts to have a little knowledge! The RAV4 Hybrid operates on the same powertrain you'll find in Toyota's luxury offshoot, the Lexus NX 300h -- a 2.5L 4-cylinder Atkinson-cycle engine with 154 hp which works with an AC synchronous electric motor, and eCVT transmission netting a potent 194 horsepower -- which is actually more rev than the gas-powered RAV4 delivers. Also setting the RAV4 Hybrid apart is its electric-motor-driven AWD system, which is standard on both its trims. 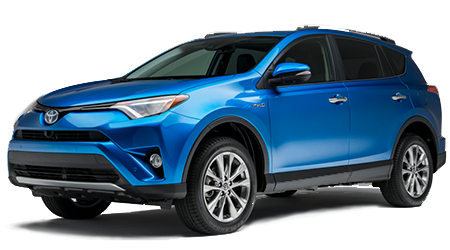 And we know you're waiting for fuel efficiency numbers, but you'll have to be a little more patient given that the 2016 Toyota RAV4 Hybrid is an all-new model -- but take comfort in the fact that it's a hybrid from the manufacturer who put hybrid technology on the map with the Prius -- so 'nuff said! The 2016 Toyota RAV4 Hybrid can be found in the Hybrid XLE and Limited models, which are similarly equipped as their gas powered, so-named brethren. But distinguishing the Hybrid further are a shark fin roof antenna, three new color choices, and a more sculpted exterior You'll find cabin refinement inside, with higher quality materials used for a more upscale fit and finish. Also added are soft-touch accents on the door panels and dashboard, a an improved TFT gauge cluster, a sunglasses holder, larger cup holders, a leather-wrapped steering wheel and additional USB and 12 volt outlets. Save the planet, save money and save a whole lotta hassle when you purchase or lease the stunning 2016 Toyota RAV4 from Toyota on Nicholasville, serving Frankfort, Richmond, and Georgetown, KY It's waiting for your right now, so let's find the 2016 RAV4 Hybrid that suits you best and grab the keys!